3 sizes available, 160mm, 175mm and 200mm high. 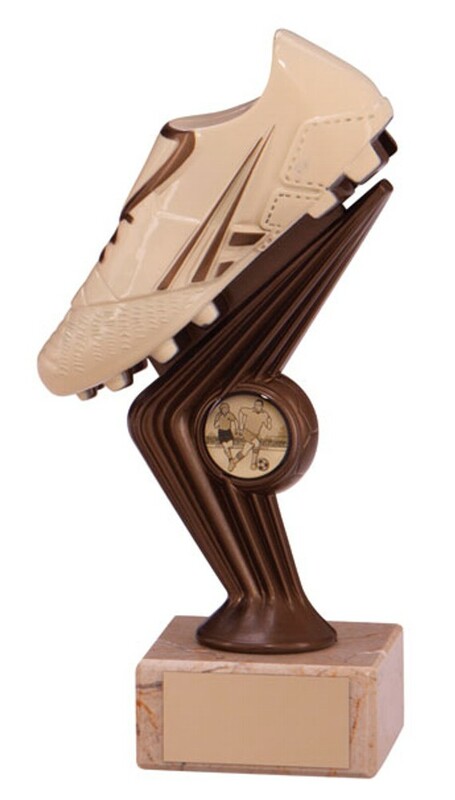 Cream and antique gold football boot figure on a heavy cream marble base. A great value football trophy.